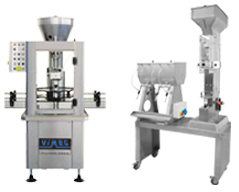 The WAR65 Washing & Milling System by Voran contains a washing container, vertical worm elevator (auger) and attached centrifugal mill. 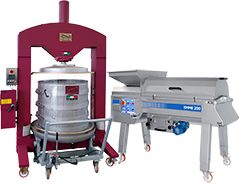 Designed specifically for processing apples and pears, the WAR65 is supplied with three interchangeable cutting screens (7, 9, & 12 mm) for optimal milling based on the dryness of the fruit. The washing system is switched on and off automatically via an electrically-controlled metering system. 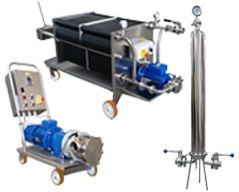 The rotary tower can be rotated 90° for simple cleaning and production line integration. 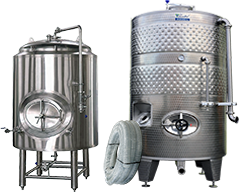 It can be produced at (3) different mash dispensing heights to accomodate various Voran Belt or Packing Press. 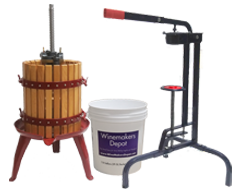 The WALC40 can outfitted with an integrated adjustable dosing system ("portioner") and electronic overflow protection to ensure optimal filling of any Packing Press. 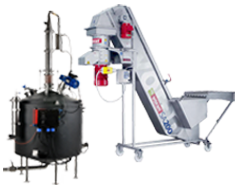 The Mass Dispensing Chute can also be extended up to 2 meters, for an additional charge, upon request.